Being a huge Tennessee Volunteers fan, as well as a 1990 graduate of this fine east Tennessee institution of higher learning, my review of this book is admittedly biased from the beginning. 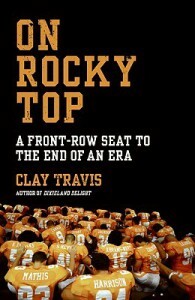 That being said, Clay Travis has written a compelling and highly entertaining book on the 2008 season of UT football. Unbeknownst to Mr. Travis as he set out to write this book, the 2008 season turned out to be one of the most tumultuous and controversial seasons in the past half-century, arguably ever in the annals of UT football history. Long story short, Phillip Fulmer, who had been a player, assistant, and ultimately head coach of the Vols over the past four decades, finds himself in the middle of a terrible season, which leads to his dismissal by the UT administration. 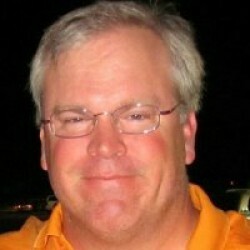 The conflict present is should Phil have received more time to turn the program around. UT fans generally were split 50-50 on this issue, but the book brings forth the angst and conflict that were present leading up to the fateful decision to fire him. I would recommend this book to all UT fans, and probably to football fans in general as a lesson on the changing landscape of college football from the year 2000 on....enjoy.